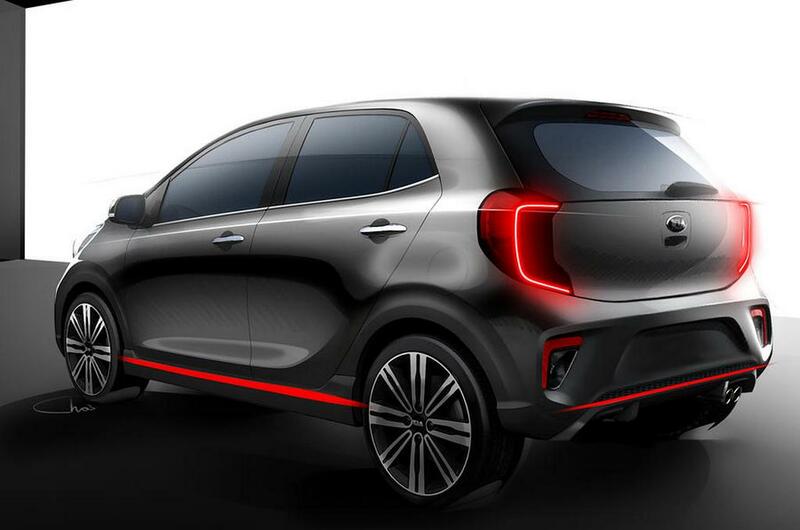 The design sketches of the 2017 Kia Picanto were released at the beginning of the year illustrating a new front fascia identical to the forthcoming Rio. After three months and in the middle of much anticipations, its first public appearance has happened at the ongoing Geneva Motor Show. 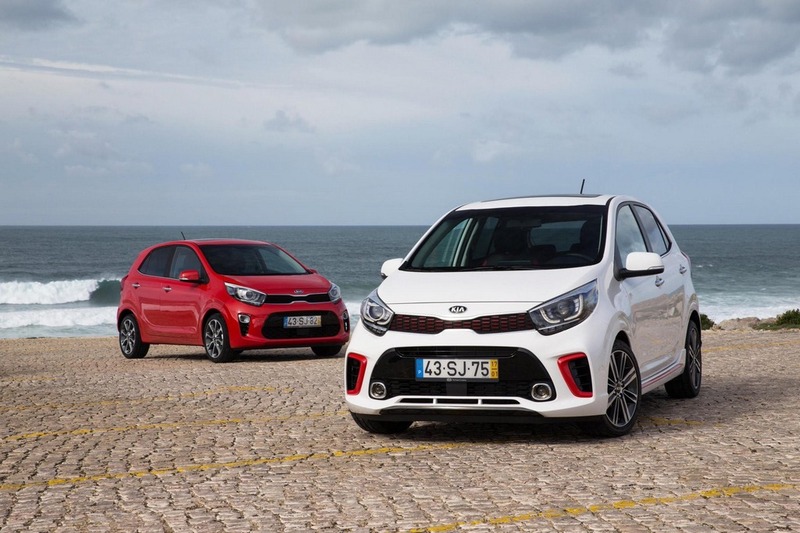 The new Picanto is likely to be offered in five-door configuration considering the below par sales of the three-door outgoing model. It will go on sale in international markets at the end of the Q3 2017. 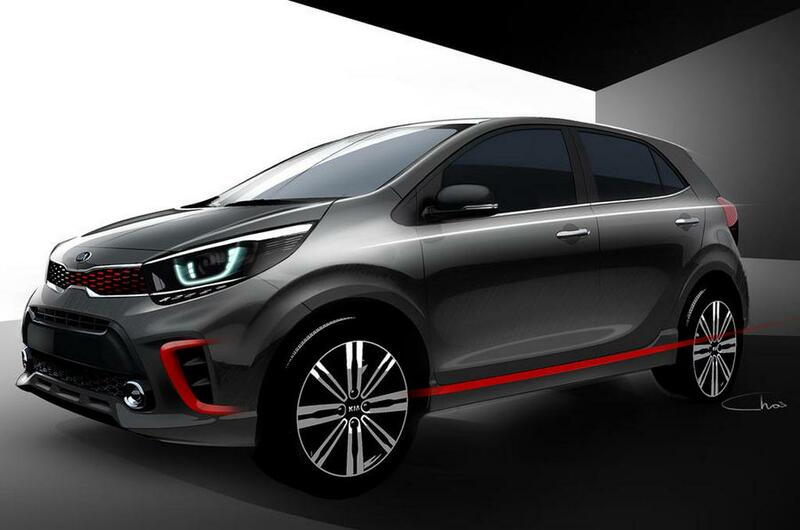 The GT-line spec of the third-gen Picanto A-segment hatchback was already revealed and it demos a certain youthful presence. 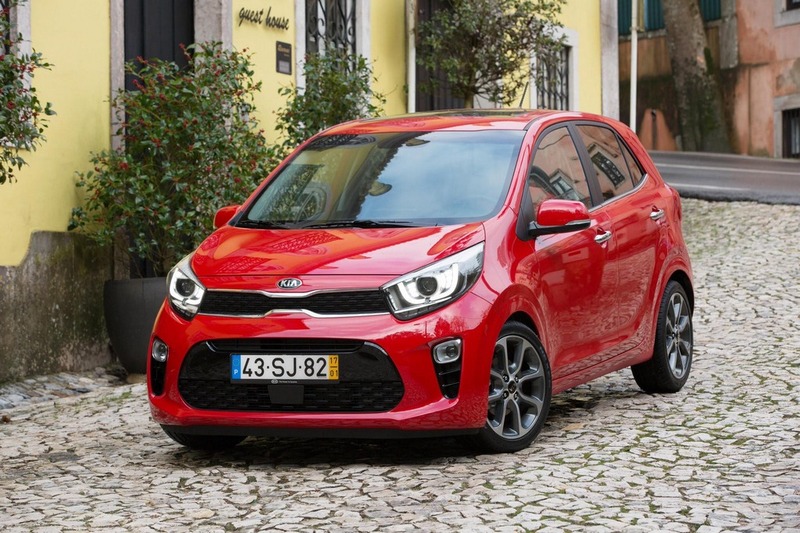 Competing against the likes of Volkswagen Up and Ford ka+, the Picanto is set to be the first city car to be offered with five doors as the Korean company looks to appeal for more conventional buyers. 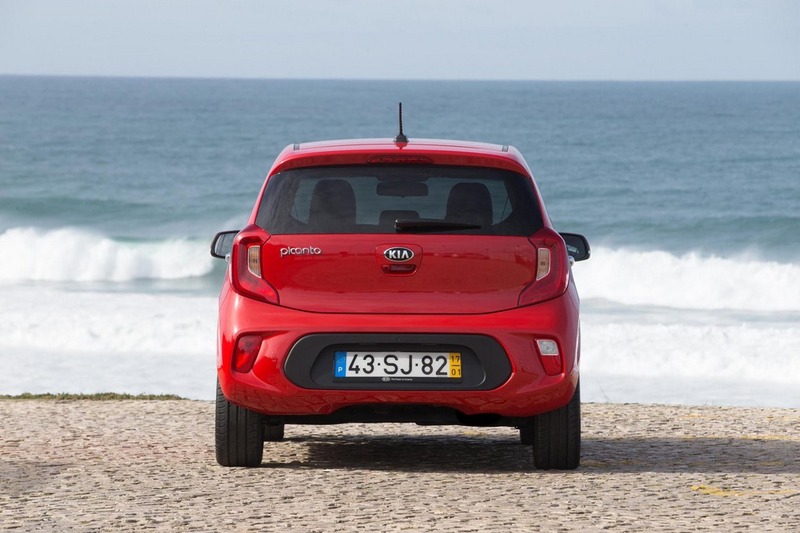 Moreover, the new Rio will also feature as many doors indicating a shift in strategy for Kia in European markets. It shares underpinnings with the upcoming Rio and on the inside there would be plenty of flavours with similarity. As in the supermini, the new Picanto will come equipped with a prominent centrally-mounted floating touchscreen infotainment system guarded by piano-black glossy trim providing latest in-car technology to the occupants. A three-spoke sporty steering wheel with mounted controls, middle AC vents in the dashboard sitting just below the touchscreen display and centre console brimmed with buttons and dials are going to be the regular features. 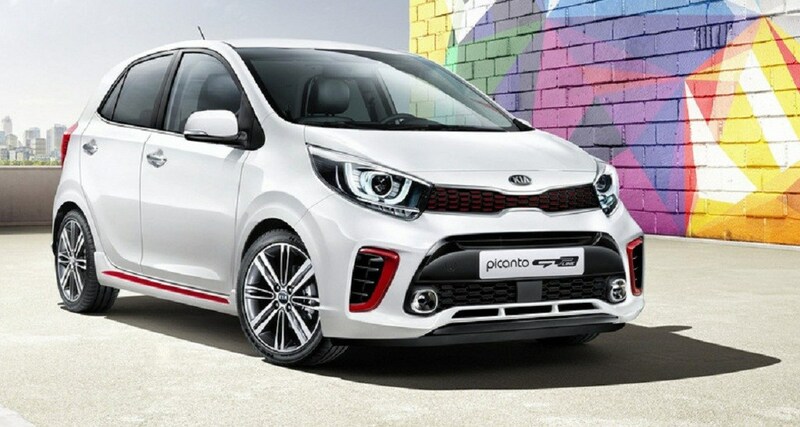 Created by the brand’s design centres in Namyang, Korea and Frankfurt, Germany, the new Picanto offers great deal of personalization with slew of trim and upholstery colours. The wheels are pushed into each corner courtesy of 15 mm longer wheelbase to offer extra interior room. Besides that, it comes with range of vibrant colour schemes with 11 bright paint choices. Claimed to have more cabin and cargo space than rivals in the segment, it comprises of shorter front overhang and longer rear overhang and has same overall length of 3,595 mm as its predecessor with 1,595 mm width and 1,485 mm height. The city runaround gains a host of latest safety and assistance technologies from its parent, the Hyundai Motor Group. It has a busy front portion with sleeker LED headlamps in line with the flow of signature grille assembly. The red accents up front, sides and rear certainly confirm different customisation options that will be made available while the flared wheel arches and C-shaped tail lamps will make for a sure buying statement. 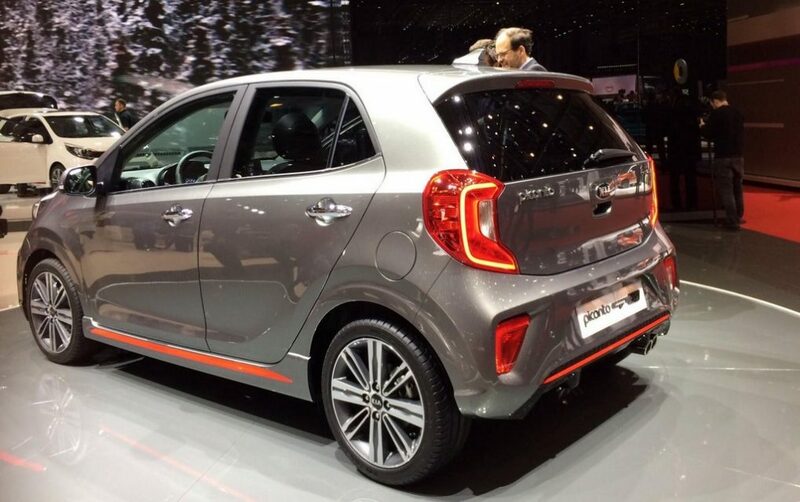 The existing Picanto was introduced way back in 2011 making the new generation model carry loads of stakes ahead. The 2017 Picanto is powered by one of three gasoline engines including a brand new 1.0-litre turbocharged direct injected T-GDI petrol unit. 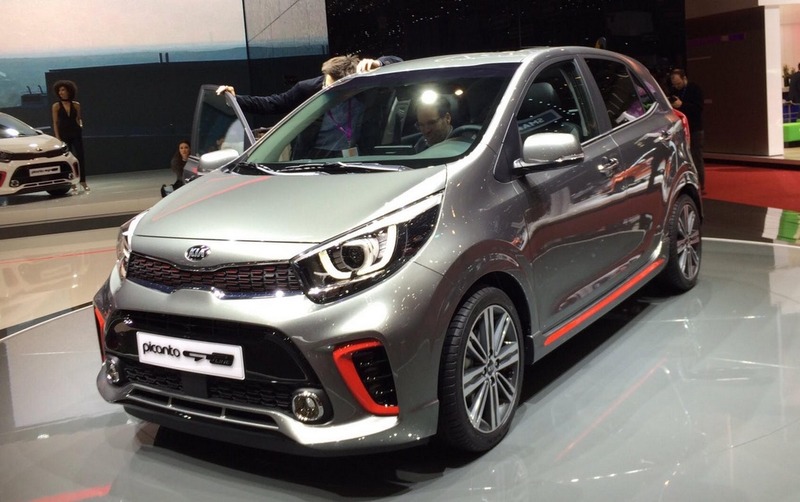 When put on sale, it will be the most powerful engine ever offered in the Picanto later this year. The other greener engines with produce around 100 horsepower and will have improved fuel economy. It will be an attractive hatchback for the Indian market and may share components with the Grand i10 when the brand enters in the next two or three years. 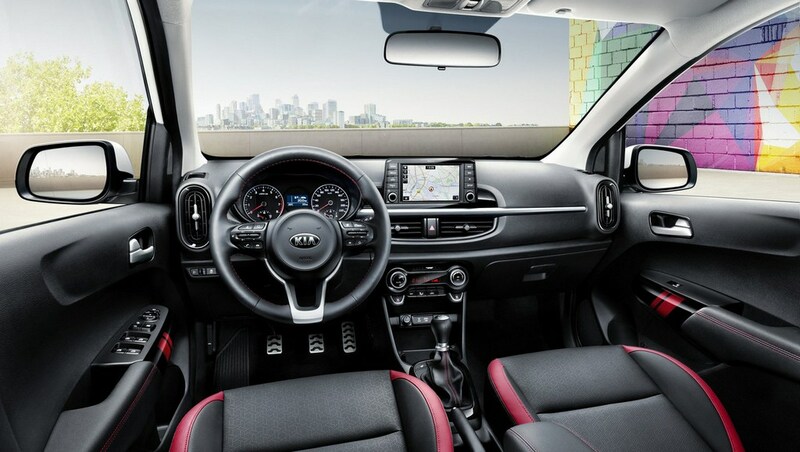 The dashboard layout is centrally aligned and has a large 7.0-inch floating touchscreen, a satin chrome-effect strip runs across the dashboard for a premium ambience and there is a large, vertical air vents at either end of the front passenger compartment. It is roomier than many of its rivals and can accommodate boot space of 255 litres. Kia has worked to address NVH levels to make it the most refined in its class. The improved safety features are new bodyshell made of Advanced High Strength Steel compared to and is the firs-in-class car to offer Autonomous Emergency Braking. In foreign markets, the six colours made available are Lime Light, Shiny Red, Aurora Black, Pop Orange, Sparkling Silver and Celestial Blue. Kia seems to have finalised site for establishing its own manufacturing facility in India at Andhra Pradesh and is likely to target Maruti Suzuki’s entry level models with heavy localisation while helping the export notions of Hyundai. 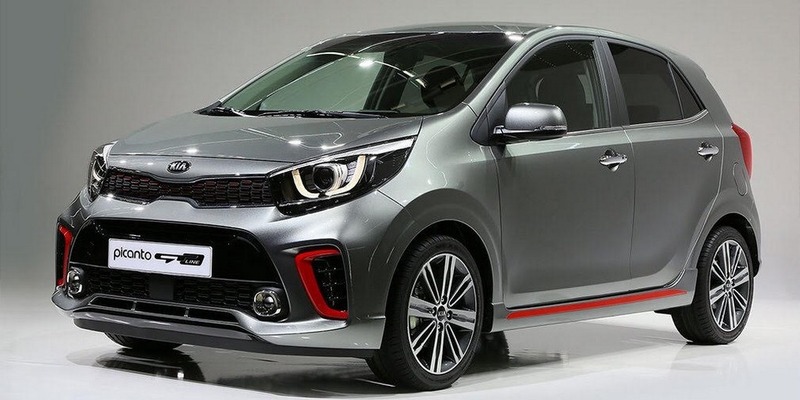 Along with its larger sibling Rio, based on the Hyundai i20’s platform, the new Picanto will have a brighter future if positioned well in our market we reckon.